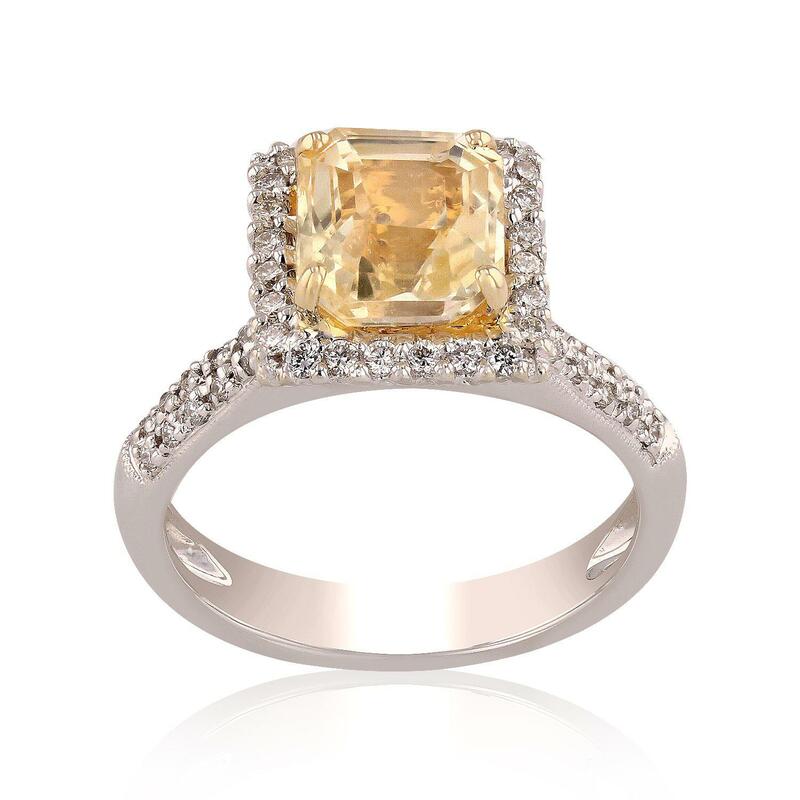 One electronically tested 18KT white gold ladies cast yellow sapphire and diamond ring. Condition is new, excellent workmanship. One prong set rectangular standard step cut natural yellow sapphire, measuring 7.55 x 7.10 x 4.62mm, 5% bulge factor, approximate weight of 3.12ct., clarity is eye clean, type II, medium, orangy yellow color. (GIA oY 5/0), cut is good. Transmitting light with no distortion, transparent. Naturally occurring internal and external characteristics are present. Graded in the setting. Sixty prong set round brilliant cut diamonds, measuring 130 - 1.00 x 0.69mm (depth est.) approximate total weight of 60 Stones = 0.35ctw. Graded in the setting. Total Weight of Colored Stones 3.12ct. Total Weight of Diamonds 0.35ctw.